CONWAY, SC (WMBF) – The Coastal Carolina University Cheerleading team has apparently responded to claims of prostitution and other misconduct allegedly made in an anonymous letter sent to the school's president, calling them false accusations that have led to harassment on campus and on social media. On Thursday, several CCU cheerleaders who spoke on the condition of anonymity said an investigator with the CCU Department of Public Safety came to their practice Wednesday night. The cheerleaders said the investigator explained to the team an anonymous letter was mailed to school president David DeCenzo on March 7 alleging that team members were involved in "a long list of things," including prostitution, purchasing alcohol for underage team members, and paying others to complete their homework assignments. The CCU Vice President of Communications, William M. Plate Jr., confirmed that the team was suspended indefinitely, "pending a conduct investigation." At this point in time, we no longer wish to be contacted about the current situation. The false accusations have led to harassment on campus as well as through social media, and are beginning to negatively impact our daily lives as well as our studies. As a team we ask the community to support us through these tough times as we hope the situation will be cleared up shortly." 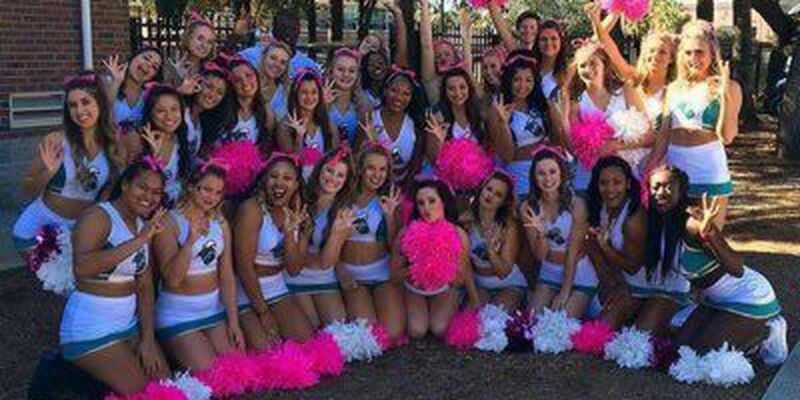 The tweet has been retweeted by several Twitter users whose profiles indicate they are members of the CCU Cheerleading team. We have not heard anything new. I know from talking to my daughter that these claims are not true. I am appalled at how the athletic director has handled this situation by deciding to suspend the team based on an anonymous letter with unsubstantiated allegations. They do not do this when other teams have had conduct investigations. At this point, I would like the team's suspension to be lifted so they can attend Nationals in Daytona, and I would like a public verbal and written apology to be given to the girls. WMBF News has reached out to the CCU Communications Department, the CCU Department of Public Safety, the CCU Athletics Department, and requested documents from the CCU Freedom of Information Act Office. All have declined to comment, citing that they cannot comment or provide information on a pending investigation.